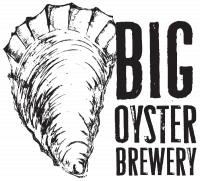 Big Oyster is now opening its doors for tours! Each Saturday meet with one of our brewers as they lead you through our brewery. Tours are available each Saturday of the month. Each person also receives a Beer Flight Voucher, a value of $10! Pick from 3 available time slots: 11:00 am, 11:30 am, and 12:00 pm. Each tour can take up to 10 people. Tours are 20 minutes long. Shoes may get wet.